Sleek designs and power under the hood, the Jaguar F-TYPE is the sports car you’ll want to show off around Doylestown. The sportiness and luxuries of the exterior are brought inside with in-car technology including the intuitive visual controls, Touch Pro™️, Jaguar InControl® technology, stolen vehicle locator, and more. Add to your driving experience by getting behind the wheel of the sporty, capable, and entertaining F-TYPE today at Jaguar Willow Grove. Schedule a test drive and get into the Jaguar of your dreams. Driver safer with more comfort and tech features to keep you comfortable and entertained no matter how long the drive. With features like these, you won’t want to get out of the Jaguar. Schedule a test drive with us today or contact us with any questions you have about our services, models, or even accessories! 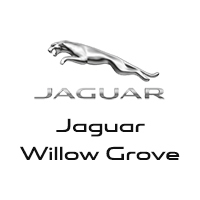 Our friendly staff is standing by to help answer your questions and get you into the Jaguar model that’s best for you and your budget.